When I was asked to write about the relation between Data, Analytics and Insights, the first thought that struck me, even before the trying to find the definition of these words was, can I just quote Jim Bergson? I dug more to land the following terms, Data – The information you obtain from users, such as demographic info, behavior, and activity; Analytics – Discovery of patterns and trends gleaned from data; Insights – Value obtained using analytics. These common wordsthat are thrown around a lot at work when combined, complete the whole picture. When Googling these words, I came across a quote from Scottish writer and poet Andrew Lang, who in 1910 said, “He uses statistics as a drunken man uses lampposts—for support rather than illumination.”A century later, I still feel many businesses do just that, use data forsupport rather than to drive decisions. After all, data really is valuable only if it helps a company make better decisions. Your organization might be sitting on the world’s largest pile of data, but it is useless unless you have the means to translate it into insights that drive your business. Understanding further, it would be right to say thatdata and analytics are 2 sides of the same coin, one meaningless without the other and together provide meaning which is called insight. Another way of describing it can be that they are married to each other to provide deep understanding, which are called insights. Today, we have access to more data than ever before. In fact, it is said that more data has been created in the last two years than in the entire history of the human race! With so many ways to connect to and access the internet, data collection and storage has become increasingly challenging. Big data is the new norm as businesses collect user data across a multitude of channels including apps, email, and web browsing. 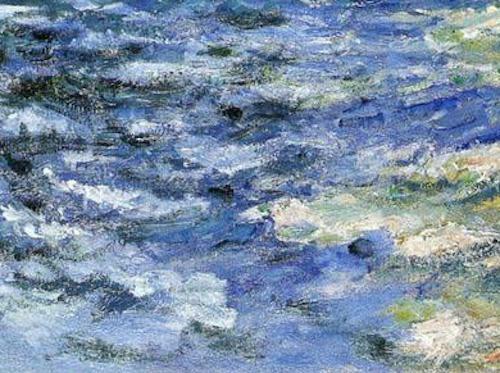 In many ways, the relationship between data, analytics and insights can be compared to an impressionist painting. 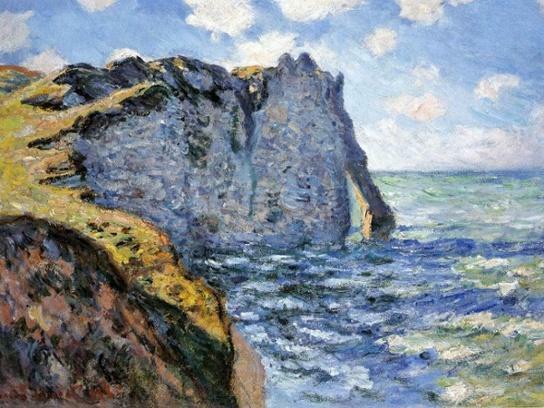 If you were to stand a foot away from an impressionist painting (a la The Cliff Of Aval Retreat by Claude Monet) , you would only be able to see thousands upon thousands of dots, smears or marks that don’t make any discernable shape. You can think of these dots as your data – there’s tons of them all around you, but individually your data points don’t really say or mean much. When you step back several yards from thatpainting, you’ll suddenly be able to see figures and forms that you could not see at a closer distance. Only at a distance will the painting “make sense”. Similarly, analytics is what provides the bird’s eye view to make sense of your data. Insights are like interpretations gathered from the painting once you’ve stepped back. Now that you can discern figures and shapes, you can gain a deeper understanding of what the painting is about and what message the artist is trying to convey. Facebook Page Insights is an interesting concept that demonstrates this. It provides valuable insights based on voluntarily entered data. It provides every person insights based on the visitors who look into their wall, which posts had the most engagement from their fans, and what times your audience is on Facebook. • The post type (e.g. video, link or image): Histograms which compare the days and number of people who look into the post, hours and number of people who like the posts are shown. This gives us an insight as to what time do mostly people log onto Facebook and when do they read posts. • Visits: Graphs which show % of the genders who are visiting your page, Men/Women. • The engagement graph (clicks, likes): A graph which shows if your fan base has grown or not, the number of likes gained or lost, the demographics of visitors. Harvesting insights from data can yield tremendous returns for a company. However, as author Richard Bach said, “Any powerful idea is totally fascinating and absolutely useless until we choose to use it.” While the increased actionability of an insight doesn’t guarantee its adoption or application, it should motivate more individuals within your company to think more deeply about the data and encourage them to act on a more consistent basis. To draw insight from this blog, I would say that everything you have read until now is a form of data which you have processed and after reading about examples likethe impressionist painting and Facebook Page insights, your brain has found a pattern and made images of them, which itself is the insight that data the provided.